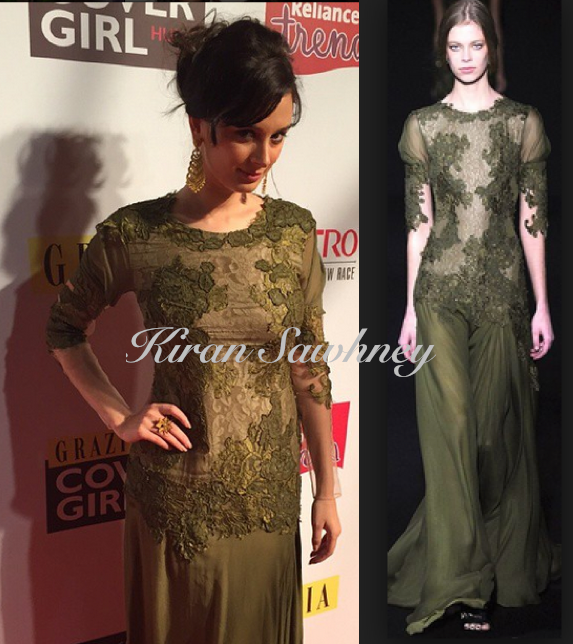 Evelyn Sharma was at Grazia Cover girl hunt finale wearing Alberta Ferreti, olive green gown from the designer's Couture 2014 collection. To be honest, we like the runway version a lot but we are not feeling the same on Evelyn. Hence, we like the gown but we do not like Evelyn's styling.